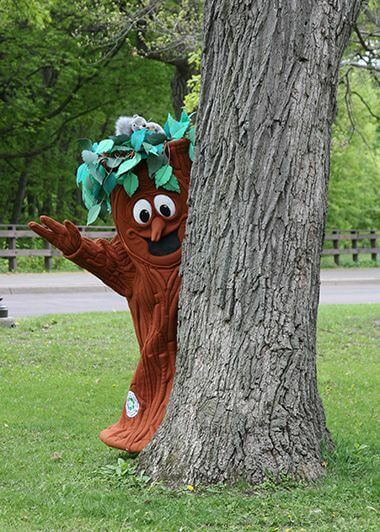 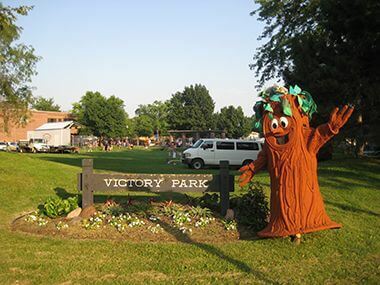 Elmer the Elm Tree has been the official mascot of the Forestry Department since 1976! 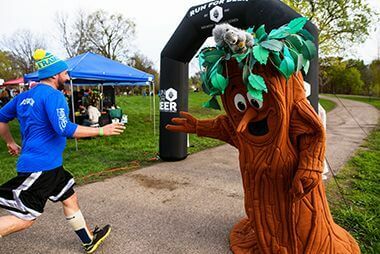 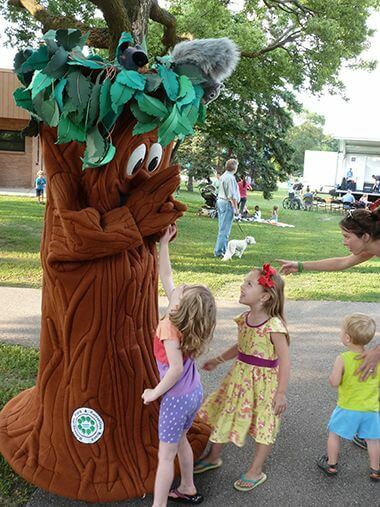 Elmer represents all of the trees in Minneapolis, and he enjoys educating kids of all ages about the importance of our trees and the urban forest. 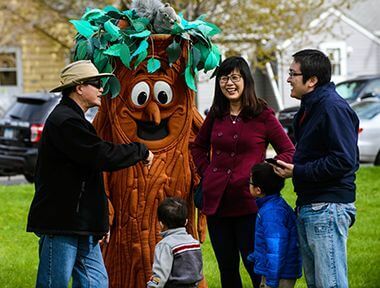 You will find Elmer at Arbor Day celebrations, educational programs, and other park celebrations around Minneapolis. 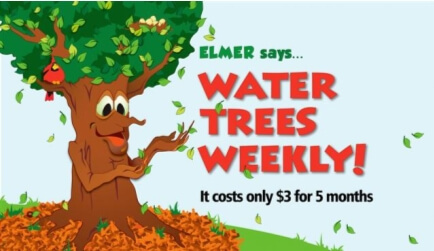 One of Elmer’s favorite messages is, “Water Trees Weekly.” This message encourages you to water trees on a routine basis. 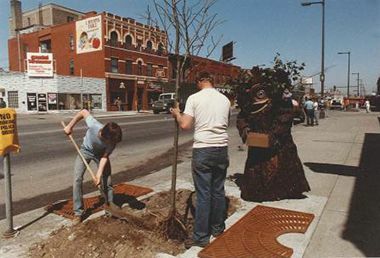 Find out how you can get involved and help Elmer and the boulevard trees in Minneapolis. 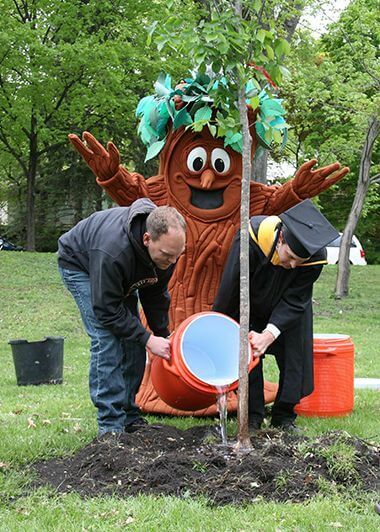 Check out this video to learn how to water boulevard trees (including how to use a tree watering bag). 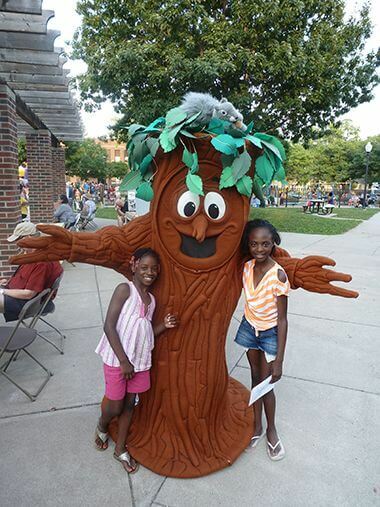 Elmer loves participating in Minneapolis neighborhood and community events. 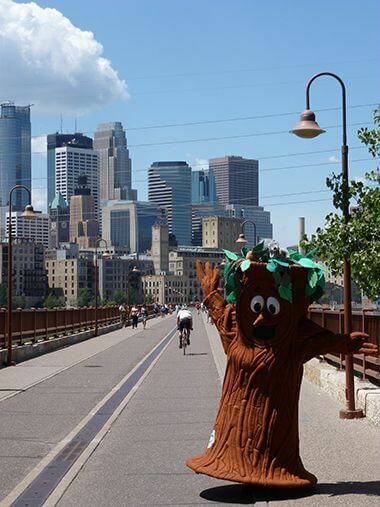 Call 612-313-7710 or email forestry@minneapolisparks.org to see if he can attend your event. 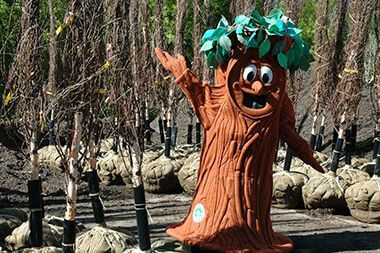 Elmer Says . . .